Nature’s Plus is still giving away FREE samples of Natures Plus Childrens Chewable Samples. 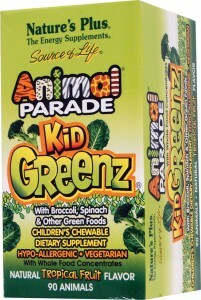 Get your Animal Parade KidGreenz chewable vitamins here. Fill out a short form and you should get your sample in about 8 weeks.